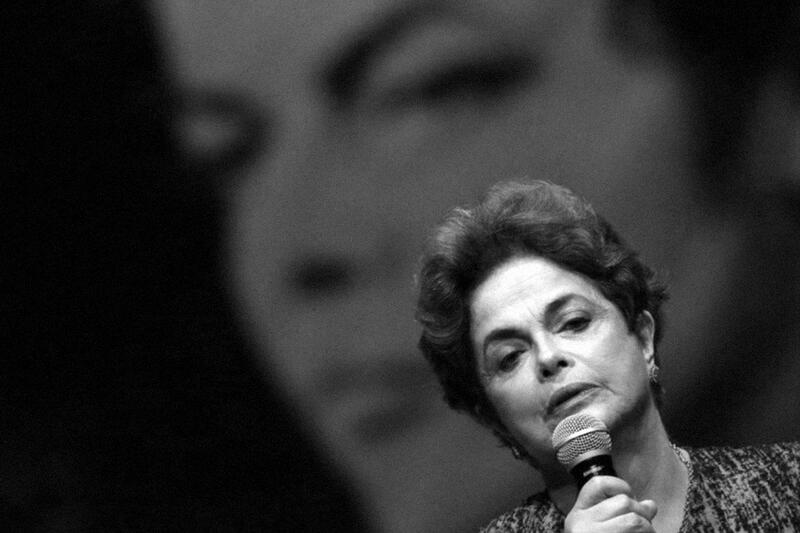 The impeachment and removal from office of Brazilian President Dilma Rousseff in 2016 was triggered by a corruption scandal involving, among others, her then vice-president Michel Temer. Director Maria Augusta Ramos follows the trial against Rousseff from the point of view of her defense team. This is a courtroom drama that unfolds slowly; the appearances of the various parties gradually turn the proceedings into something akin to theater. Inside the courtroom, grand emotions are played to full effect while, on the other side of the doors, lobbyists and supporters pace the corridors. Meanwhile, outside, in front of Brasilia's modernist government buildings, demonstrators are chanting like a Greek chorus. Related event on Friday Oct 26, 5.30pm: Fredric Jameson Gallery, Friedl bldg. "The Crisis of Brazilian Democracy", panel discussion about "O Processo" with filmmaker Maria Augusta Ramos, in conversation with Duke History Prof. John French and Wesley Hogan, Director of the Center for Documentary Studies.